As bloggers and writers we all face it eventually, the blank computer screen or paper. 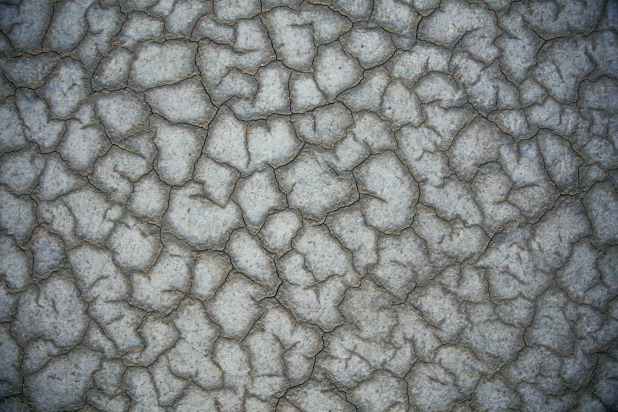 Devotion topics can sometime be difficult to come up with when we're in a dry spell and the words just won't flow. We have heard from many of our readers that having some resources to help with overcoming writing block would be helpful. 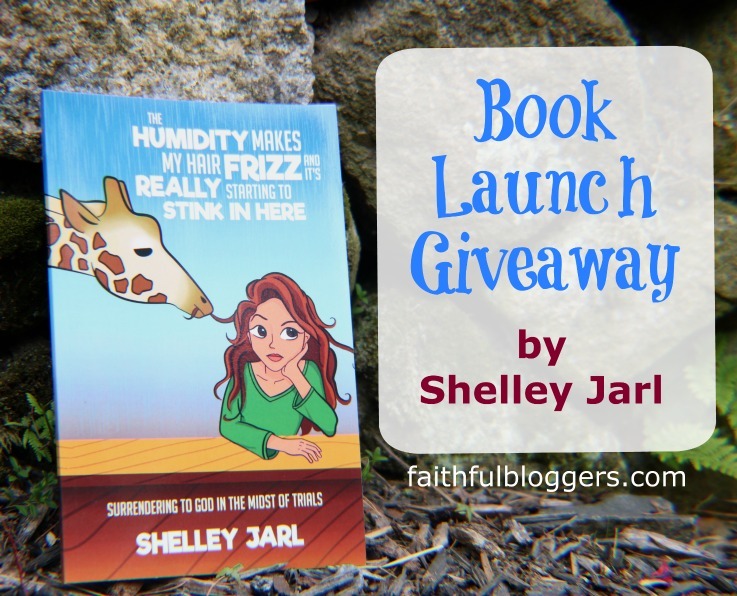 As part of our ongoing quest to encourage bloggers, writers, and anyone else who is passionate about sharing their Christian message, we have a brand new resource available, and it's FREE! This resource will help you brainstorm devotion topics in those times when you just seem to be coming up dry. We hope you enjoy it and it is a blessing to you. Please let us know in the comments what you think and if you would like more resources like this. For the next four days this resource will be available here for download. After that time, the first page will be available in our "freebies" area and the entire resource will be available for free (along with other free resources) in our members area which you can access by signing up using the form below. Once you submit the form you will receive a password. Writing on a regular basis isn’t always easy. Coming up with the words you want to use to convey your message isn’t always easy. Sharing God’s Word and His message of salvation and love isn’t always easy. When you put writing and sharing God’s message together through devotions, it isn’t always easy. Writing devotions is a very precious and important task. Anyone who reads your devotional should be able to find the love of Christ of in it and reading your devotional might be the only time they see an example of that kind of love. That is why we must be prayerful when writing devotions! Before you put pen to paper, or rather, start typing, pray. Ask God to tell you what He would have you to write about. What message does He want you to impart? Be mindful of what comes to mind as you are praying. Does a particular person come to mind with a specific issue? Does a specific verse pop into your head? Listen. He will tell you what to write. Praying before you start writing a devotion will make it so much easier to actual write the devotion. But that is not where you stop praying. Remember that once you publish your devotion, whether it is on your blog, as an ebook on Kindle or in PDF format, or as a physical book, your job isn’t done. Be prayerful for your readers. Pray that your readers will receive the comfort, love, and encourage that you intended when you wrote the devotion. Be prayerful that your devotion will touch at least one life for the glory of God. Being prayerful is something so simple that is it often the one step that is forgotten. Next time you decide write a devotion, don’t forget! 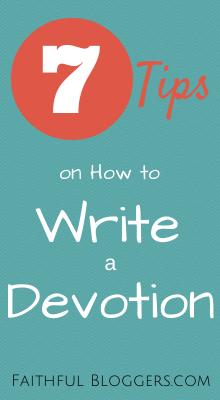 Writing a devotion can offer hope to your readers and inspire them in a way that lectures or plain articles, may not. A devotional is a very well thought out piece about one very minute topic usually focusing on a particular spiritual lesson. Writing devotionals does not have to be difficult, there are many steps you can take to calm yourself down, get centered and write what God wants you to write. Yes! There is something already inside you that God wants you to say. You just have to open your heart to the Holy Spirit, and listen. Be prayerful -- Before you put pen to paper, or rather, start typing, pray. Ask God to tell you what He would have you to write about. What message does He want you to impart? Be mindful of what comes to mind as you are praying. Does a particular person come to mind with a specific issue? 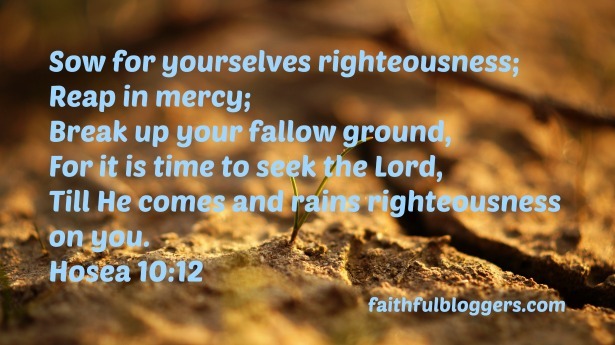 Does a specific verse pop into your head? Listen. He will tell you what to write. Pick one topic -- After intensely praying about what to write, pick one topic that comes to mind and be very focused on that one topic. It is easy to get carried away writing with all the ideas that will come to you! Keep it short -- Your devotional should be no more than one page, or 500 words. But it is even better if it's less than 500 words, shoot for 250 words to keep yourself focused on one small laser targeted topic. This will also help to keep your reader interested and with you. Know your audience -- When you have your topic, write it to a specific audience, this is known as your "target market" in business, but here, this is your audience. Ask yourself the question: Who is going to read this devotional? If it helps, write your devotional as if you're writing it to a dear friend. Check your facts -- Make sure, if you are quoting biblical scripture that you not only check the scriptures to make sure you are not taking something out of context, and that you are quoting it correctly, but make sure you are using a relevant verse to support your devotional. Inspire action -- Ask the readers to do something at the end of your message in your closing paragraph. That action will depend on what your message was about. You can end with a very short prayer if you wish, but keep it related to the message. Be yourself -- Remember to be yourself. You're not perfect -- no human is -- and that is perfectly okay. Grammar isn't as important as your message. Do check your spelling with the spell checker, and have someone else read it if you wish, but the message is the most important thing here. Ready To Learn How To Shape & Share Your Message? God’s Word + Your Experience & Creativity = Amazing Personal Impact! Check out Creating Powerful Devotions to learn a simple formula for penning devotions that make an impact in just five steps! When you think about a devotional, you probably visualize a small, pocket sized book. That’s still a popular format of course – but oh the options we have today! You can publish your devotional on Amazon’s Kindle. You can offer your devotions as an email subscription. You can publish your messages as blog posts. You can record your devotions as a podcast via iTunes. You can deliver your messages on video and publish to YouTube. You can design your message as a graphic to be shared on social media channels. You can mesh your written devotions with blank pages and publish as a Prayer Journal though a service like CreateSpace. 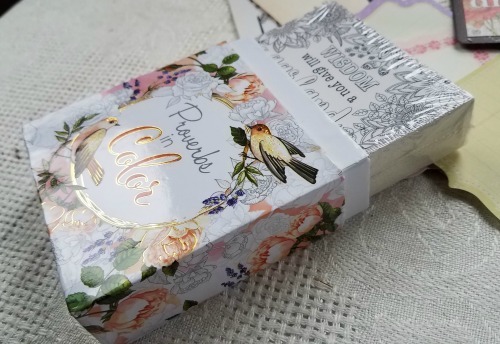 You can even blend your devotions with coloring pages – that’s a hot trend! 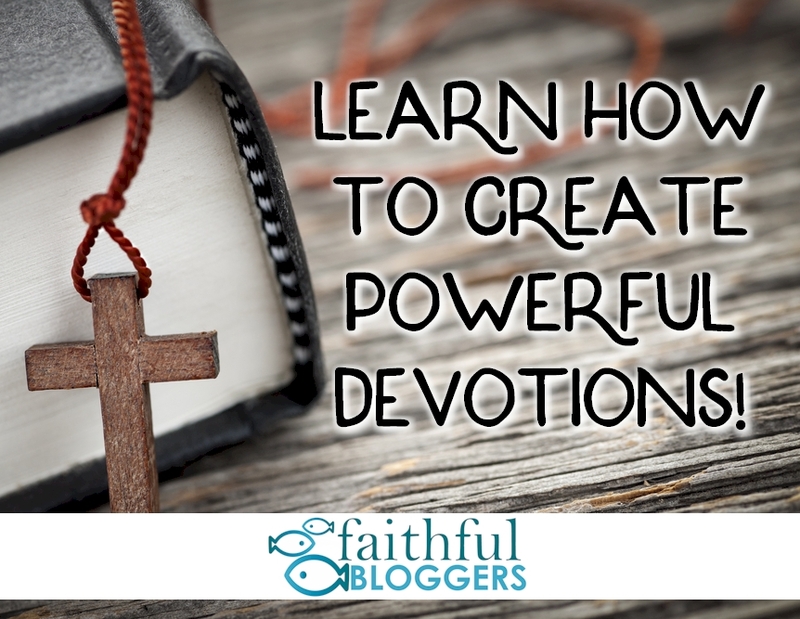 CLICK HERE TO LEARN MORE ABOUT CREATING POWERFUL DEVOTIONS! 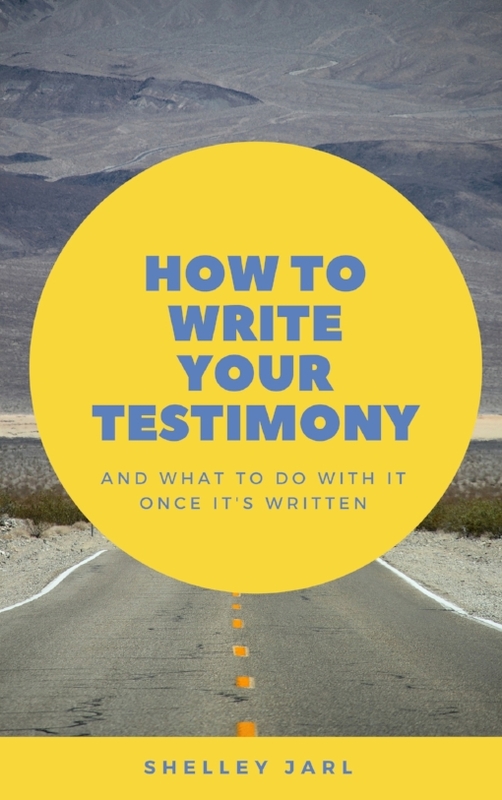 Also: Check out our guide "How to Write Your Testimony". It is available for free in the members area. Simply fill out the form below and you will be emailed the current password to the members area. Let us know if you get your testimony written, we'd love to read it.